Betrayed By A Friend Or Loved One? Being betrayed by a trusted loved one can leave us feeling lost and confused especially if we did not see it coming. The experience of betrayal is such a deep emotional pain especially when it comes from someone you love and trust. It hurts to be betrayed and can feel like a devastation when one that you love and who you thought loved you, betrays you. It is an experience of the breakdown of the illusion of love and trust when you put your total trust in someone and then you get your heart ripped out. I am speaking from experience as I was betrayed by my close friend and it hurt. It took me a long time to learn to trust anyone so it felt good to find someone that I could share my hopes and dreams and also my fears with. My friend also confided in me and I totally trusted and respected her so the betrayal came as a terrible shock. At first I was devastated and pleaded with her to explain what had happened to make her so bitter towards me. I started to doubt myself and felt totally destroyed by a person I thought loved me. Pleading with her was my first mistake. I know now never plead with anyone who has withdrawn their love and become abusive. Pleading only made the situation worse as it did in my case. The more I pleaded and tried to get to the bottom of what had happened the more I was threatened. She issued threats that she was going to destroy my life. Anger was my next emotion. How could someone I totally trusted, loved and respected be so vicious towards me? Did she not realise that I also hold her secrets and fears? My time on this earth is short so I did not going to waste my time and energy trying to get even with her. If I had wished something bad to happen to her because she hurt me so much, I would have been stuck in revenge. Revenge never works. I would have been just as bad as her and doing such things will not make me feel any better. I cannot love while I hold anger, blame and revenge in my heart. At first I did want to blame her for the feeling of unhappiness I felt. I knew I needed to let go of the feeling of blame with forgiveness rather than hold on to the need to punish her or get even. By letting go of the need for revenge I take back my power to create the life I want which is to be happy and loving. John Gray in his book, ‘How to get what you want and want what you have’, says that, “As long as someone else is responsible for how you feel, you forfeit the power to change your life. You lose the ability to trust in yourself and the world around you”. I have found this statement to be so true as my experience with my friend left me shaken and for a while I doubted myself. I recommend John Gray's book for amazing insights about negative emotions, why we feel them and how to deal with them. When we stop blaming and we find forgiveness in our hearts towards the one that has betrayed us we feel a sense of relief. Forgiveness does not mean that we will accept that person in our lives again so that there is a risk of them hurting us again but it does mean that we can let go of the hurt of betrayal. My friends unacceptable behaviour does not mean that she is unworthy of being loved but it does mean that I am now more wary of where I place my trust. I trusted totally in my friend and got my heartbroken. I was honest and open with her and I shared my true self, warts and all because I loved, trusted and respected her. I was supportive in every way possible towards her to encourage her to grow in confidence and self esteem and all along she was harbouring bad thoughts about me and thinking that I was a liar. I felt betrayed and can remember thinking that I will never trust another person. I felt devastated because I cared for her and always felt respect. I totally trusted her with my fears, my most intimate secrets, hopes and dreams and she used them against me. She betrayed me and I felt sad and confused about her behaviour. I felt devastated and in a state of panic, not knowing how to deal with the betrayal. I also felt stupid and felt like a fool for putting my trust in her. My friend accused me of lying about things that I had told her even though everything I had told was the truth. She was malicious, cruel and demeaning in her accusations. She used my deepest fears and secrets to punish and hurt me and I was shocked and devastated and was left doubting myself. All the pleading in the world was not going to calm her down because she had decided I was a liar. I understand now that she was not the loving, kind and gentle soul that I thought she was. 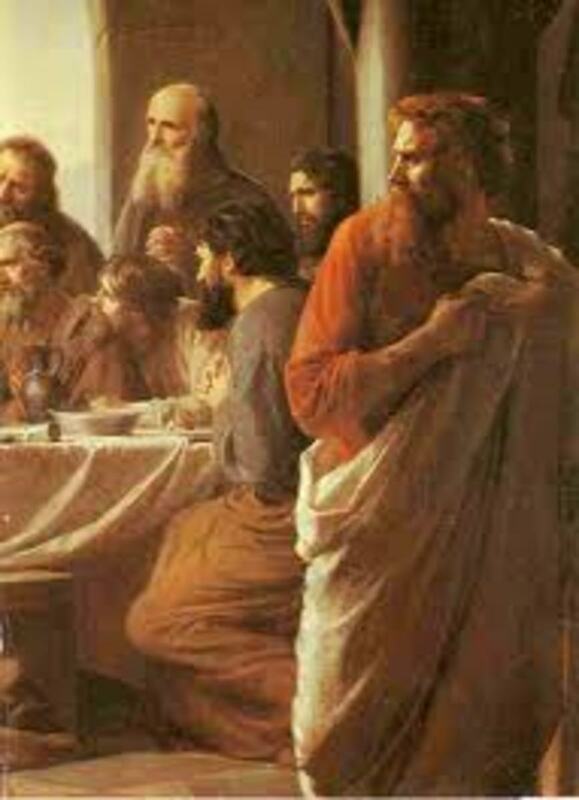 When someone loves us or claims to love us they would not be cruel in order to hurt us. When you feel betrayed by someone you loved and thought loved you and would never hurt you and you want to blame them for the way you feel, try the following feeling letter process taken from John Gray's book. The letter can be addressed to a friend, a lover or parent or anyone you want. You can write in a journal or on a piece of paper which you can later destroy. Whoever has betrayed you never needs to see what you have written but the process will help to bring you back to a centred loving place within yourself. 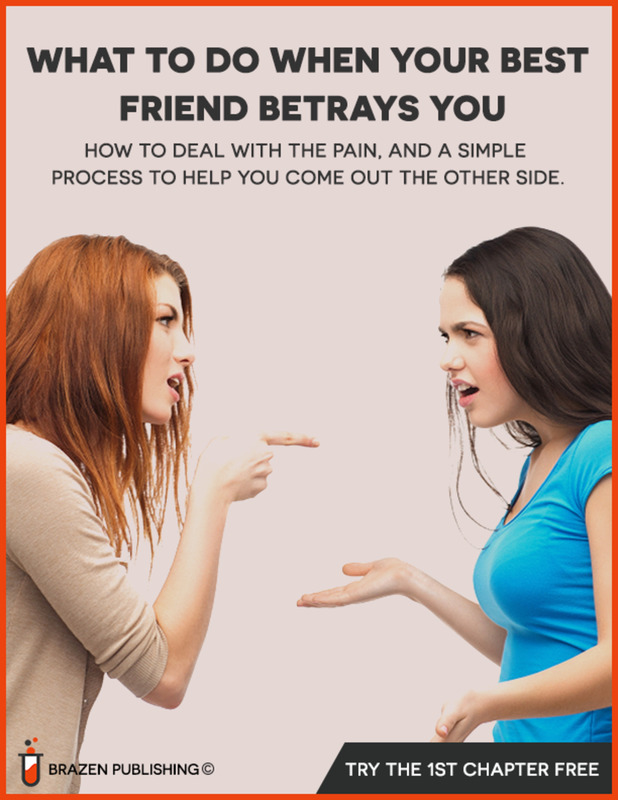 To deal with the hurt of being betrayed by a friend explore feelings of anger, sadness, fear and sorrow. Write out how you truly think and feel using the following format. At the end of the letter write about your true desire. I felt betrayed when you accused me of being a liar and a manipulator. I am angry that you could say such cruel and horrible things to me. Angry that you were so mean and threatening towards me. I am sad that you think and feel about me the way you do. I am sad that you think I am a liar. Sad that you think so low of me. I am sad that you have betrayed my trust in you. Sad that you feel the need to threaten me. I am afraid that I am no longer able to trust you with my deepest fears. Afraid that you will accuse me of things that are not true. I am sorry that we cannot sort out our differences. I am sorry that you can no longer trust what I say and I am sorry that you think I have lied to you and deceived you in some way. Desire. I do love and care for you. I wanted you to trust me. I wanted to continue our friendship and wanted you to feel good about that friendship and to trust me in return. By letting go of the hurt I felt as a result my friends behaviour and accusations I can come back to a more loving place within. I have learnt from this experience that although I might not be getting the love and support from my friend, I can focus on getting what I need from other sources. 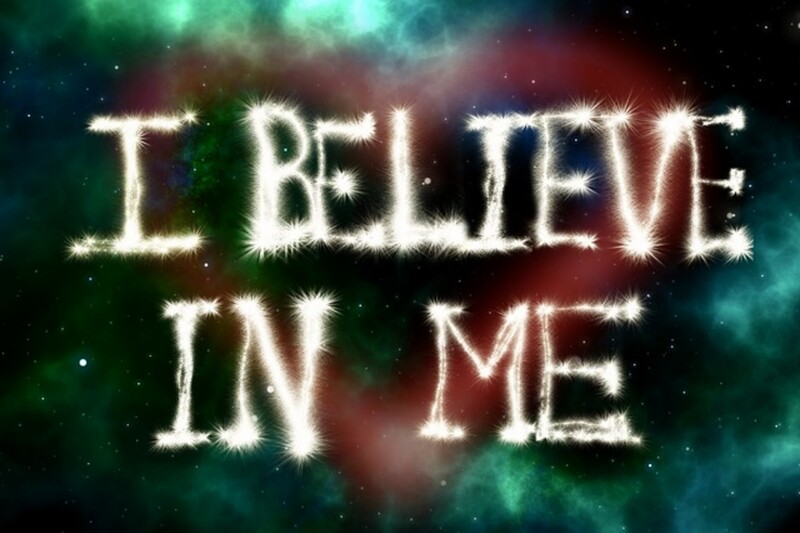 I have learnt to believe and trust in myself. If you are having a similar experience of betrayal by a loved one, learn to love yourself more. Trust in yourself and your own council. Keep a journal about things that have happened to you that have left you feeling hurt. You can always rip it up after you have written it. None of us are perfect. We all make mistakes but that does not mean that someone can come along and emotionally whip us. None of us deserve to be hurt by another. We all deserve to be loved and respected so start by looking in the mirror and loving and respecting the reflection. Know that you deserve to be loved and respected. Have you ever been betrayed by someone who you thought would never betray you? Thank you Mtmori for having a read. I hope my experience and the way I found to deal with it will help others who are experiencing a similar situation. Very true! You hit on some good points. IAMFORBIDDEN. I am really sorry that you had such a terrible experience. Not only did you lose your friend but your money too.. I really feel for you. Louise.....Welcome to the cold, dark cave, wherein dwell the "Victims of the Back Stabbers." A sad place to be, indeed. Very few get through this life without passing through this cave at least once. Some of us must be cursed with more than one or two cruel experiences. Alas, Louise, it is behind you and your words speak of a heart that has learned how to heal and go forward with dignity and understanding. Despite the pain and disappointment, you have gained much. You learned more about yourself and the power of your inner strength. Always find the reason to be grateful no matter how dreadfully you've been treated. 2 years ago from Neverland - where children never grow up. I was betrayed once but twice. The latest one was from my childhood friend. She owed me almost $100,000 and that money melted. I trusted her, never asked her a question but just gave her the money she asked. And all lies keep rolling from her tongue, and goes into hiding. I saved that money maybe atleasat 7 years of hardwork but goes to nothing. Thank you Bill. I appreciate your comments. I did start to doubt myself for a while because I was on a journey of learning to love and respect myself. I had old messages of that it had happened because I was not worthy of love and respect but I soon got rid of those thoughts because I am worthy. Thanks again. It is an ugly truth to be subjected to, and I'm sorry it happened to you. I do like the lessons you learned and the steps you suggest. It's important to realize that there is nothing wrong with you, and the fault is not yours. Wonderful article. Thank you bizzymom for taking the time to read and comment. 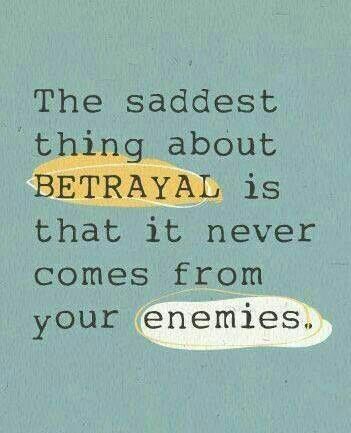 It is a very sad situation to be in having someone betray a trust. I love my friend very much and only ever wanted the best for her. All I can do now is wish her all the best. I am sure the shock and pain of what has happened will eventually pass but the pain went deep so I wanted to share the experience in the hopes of helping others in similar situations. Thanks again and all the best to you. louiseelcross , Thanks for the added information. It always hurts when someone reveals their "true colors" and I imagine it's even more difficult after 27 years of friendship. Eventually you will find enough peace to let her go and not dwell on her or her actions. My hope is you have more than one friend at a time. It's good not to rely on one person for emotional security even if it means joining a support group. Dashingscorpio. Thank you for your comments. The friend that betrayed me was a female family member and a friend I have known for 27 years. We were very close and she looked upon me as her mother because her own mother deserted her. We both had an abusive past and found it difficult to trust others but learnt to trust each other and share our pain. She always told me I was an honest, trustworthy friend who she trusted more than any other person so you can imagine my shock when this happened. She was supportive of me and I supported her for many many years so I was stunned when she started saying nasty things out of the blue. I have learnt much from this experience even though I was in a lot of pain. I have now noticed the topics of your writings and will be reading. Thanks again for taking the time to read. I'm sorry that this happened to you. I do believe that writing has helped you get over the pain inflicted by your friend. It is sad that people can be so mean, but so enlightening that you did not seek revenge. Forgiveness will certainly help you, although this experience will be difficult to forget. Thank you for sharing your experience. You didn't mention if this was a platonic relationship or not. On average it appears to me (women) put a lot more of themselves into friendships than men and they also have more expectations. I never heard of a man being this devastated over a backstabbing friend who betrayed them. I suppose we're not usually "emotionally invested" in our friendships as much as women. Guys usually get together for a couple of drinks, shoot the breeze, watch or play sports, and maybe talk about dating experiences. However if a guy is married he doesn't talk about intimate details of his marriage unless he's complaining about something. At any rate most betrayals are the result of one person assuming the other person would behave a certain way or keep information confidential (even when they didn't ask them to). Having said that only a mate or spouse would be in a position to hurt me as much as you described the pain caused by your friend. Even then the only pain they could have caused me would have been to cheat on me or steal from me in some way. I have never had a desire to keep toxic people in my life once I discovered who they are. It sounds as if you expected this person to "go back" to who you "thought" they were. If someone betrays you, calls you a liar, and a manipulator they clearly don't think you're all that "special". With age and experience hopefully we learn to choose wisely. Our deepest secrets might be best regulated to close family members or our spouse. Friendships rarely trump blood or vows.